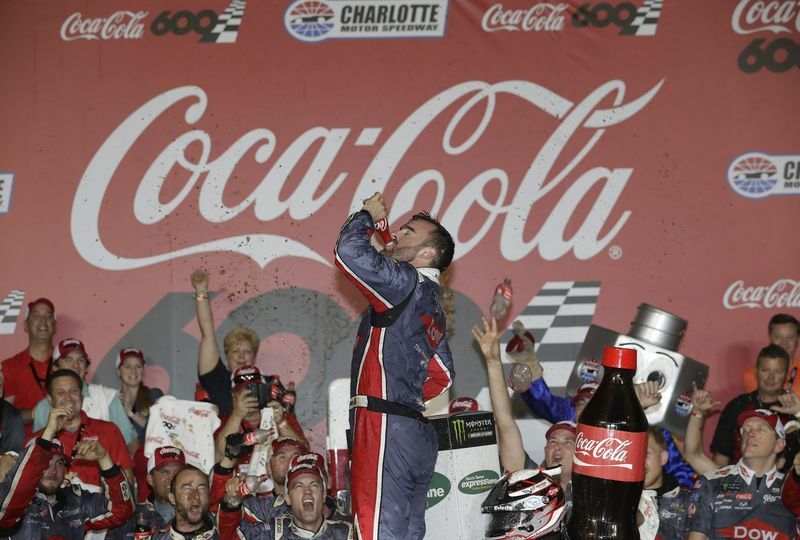 In a captivating Coca-Cola 600 that stretched into Monday morning, Austin Dillon stretched his fuel mileage just enough to capture his first Monster Energy NASCAR Cup Series victory in unforgettable fashion at Charlotte Motor Speedway. Dillon saved enough fuel to go the distance to score the first win for Richard Childress Racing's iconic No. 3 Chevrolet since Dale Earnhardt in October of 2000. Dillon's strategic move - championed by new crew chief Justin Alexander - put the fourth-year driver in position to win when Jimmie Johnson ran out of fuel on Lap 399. Dillon was the only driver in the top five not to pit over the final 60 laps. He beat Kyle Busch to the flag by 0.835 seconds in a race that was delayed for one hour, 39 minutes and 56 seconds due to rain. Defending Coca-Cola 600 winner Martin Truex Jr. - who led a race-high 233 laps - was third with Matt Kenseth fourth and Denny Hamlin fifth. Kurt Busch, Erik Jones, Kevin Harvick and Ryan Newman were sixth through ninth with Dale Earnhardt Jr. - in his final Coca-Cola 600 start - 10th. After running out of fuel, Johnson tumbled to 17th. 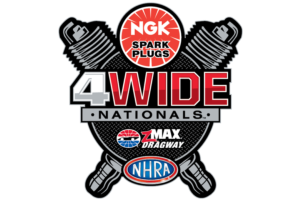 Dillon joins David Pearson (1961 Coca-Cola 600); Buddy Baker (1967 Bank of America 500); Jeff Gordon (1994 Coca-Cola 600); Bobby Labonte (1995 Coca-Cola 600); Matt Kenseth (2000 Coca-Cola 600); Jamie McMurray (2002 Bank of America 500); Casey Mears (2007 Coca-Cola 600); and David Reutimann (2009 Coca-Cola 600) as the nine drivers to score their first Cup Series wins at Charlotte Motor Speedway. AUSTIN DILLON, No. 3 DOW Salutes Veterans Chevrolet (Winner): "It hasn't sunk in, truthfully. … I am just so proud of all the effort that all these guys put in. I have the best pit crew and my grandfather has done everything he could to get the best he could get. I feel like we are the small team out there trying to get all we can get. And tonight we got it. The race, when it came down to it, we had everything we needed. It just feels amazing." RICHARD CHILDRESS (Winning Car Owner): "I am so proud. … To bring (the No. 3) back (to the Cup Series), right here at Charlotte, I think this is going into our fourth year, it's just unbelievable. It just makes it that much more special. I know Dale (Earnhardt Sr.) is up there smiling. He would want this win. … Today is special. Here at Charlotte, on Memorial Day - a special day for this country - to be able to enjoy what we do, I am just honored. When I really got emotional was when I looked up and saw that 3 on top of the board." KYLE BUSCH, No. 18 M&M's Red, White and Blue Toyota (Runner-Up): "I'm not surprised about anything. Congratulations." MARTIN TRUEX JR., No. 78 Bass Pro Shops/Tracker Boats Toyota (Third-Place Finisher): "I guess it depends how you look at it. It's kind of bittersweet. On one hand, I'm super proud of my team, everybody back in Denver, Furniture Row, Bass Pro Shops, TRD, Toyota, all our partners that make it possible. We had a shot at it again. Third year in a row we led the most laps. Felt like we had a shot to win. Two out of three he we lost on fuel mileage. That's tough to swallow. I can't say enough about my team and what they continue to do."